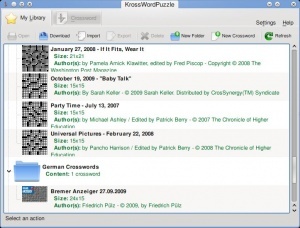 KrossWordPuzzle is a crossword playing game and editor. 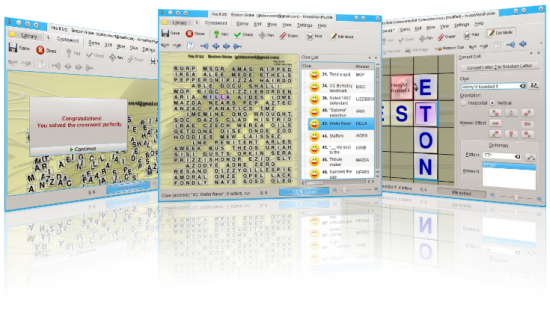 You can use KrossWordPuzzle to play crosswords or to create new crosswords. It can open and save *.puz-files (AcrossLite) and it's own *.kwp files (which are XML files) or *.kwpz (which are compressed *.kwp files). You can download lots of crosswords from within the game. KrossWordPuzzle is a community app See footnote . Thumb creator for crossword files. It's used to get thumbnails for crosswords in the library. Can also be enabled for crossword files in dolphin. Themes. 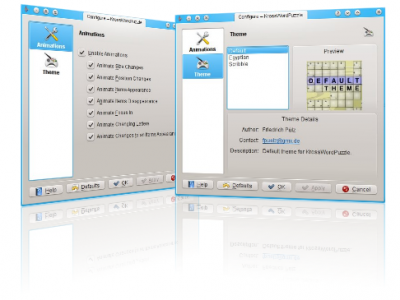 There are currently three themes available: Default, Scribble and an Egyptian theme. Restore lost crosswords after a crash of the game (hopefully there is none ;)). 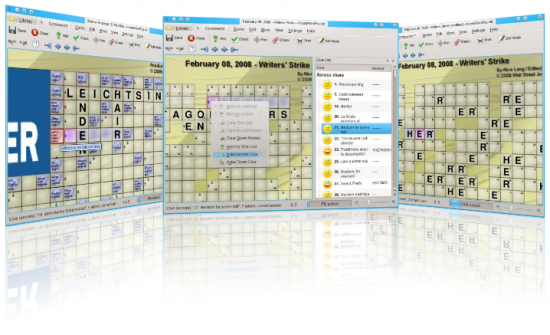 KrossWordPuzzle has a page on kde-apps.org, where you can download the latest sources and binary packages for various distributions. This page was last modified on 16 June 2011, at 15:54. Content is available under Creative Commons License SA 4.0 unless otherwise noted.